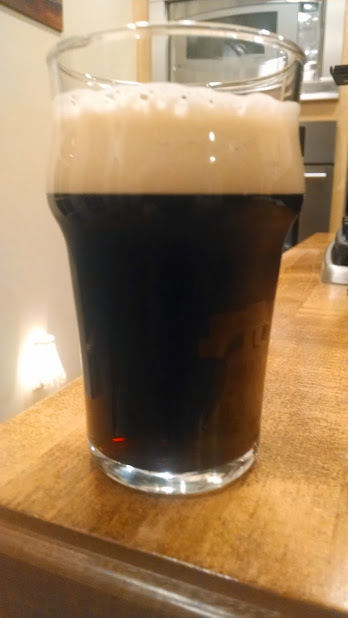 Back in October I set out to brew an Oatmeal stout. With the weather turning colder I knew I would appreciate a dark and malty beer. I had a Founders Breakfast Stout last year and remember it having an amazing aroma of warm oatmeal cookies. I was hoping to replicate that aroma with toasted oats in this recipe. I also wanted it to have a very strong chocolate presence without being too roasty. I definitely accomplished this, but maybe have gone too far - see the tasting notes. Per usual, my notes for brewday were lacking. I do recall it going rather smoothly and it being one of my fastest brewdays to date at just around 5 hours. I ended up fermenting 5 gallons in one of my better bottles and a little under a gallon in a one gallon jug. When it came time to keg, I also bottled the 1 gallon jar and added pumpkin pie spice. I have not yet tasted the spice version. Aroma: Moderate roast aroma dominates and is made up of moderately strong chocolate and light coffee. There are some toasted notes from the oatmeal, but not as pronounced as I had hoped. No apparent fruitiness or yeast character, and no discernible hop aroma, fairly clean. No diacetyl. Appearance: Very dark brown with garnett highlights when held up to the light. Nice dark tan and moussy head with good retention. Good clarity. Flavor: Moderate malt backbone consisting of moderate chocolate and some light toasted oats. Moderate hop bitterness and no apparent hop flavor. The beer finishes ever so slightly dry. The balance is towards the roasted chocolate malts. 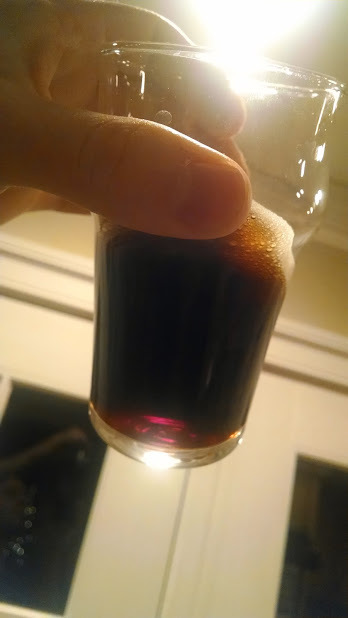 Overall Impression: Overall this is oatmeal stout has dulled in flavor since I first kegged, and tasted it a month ago. 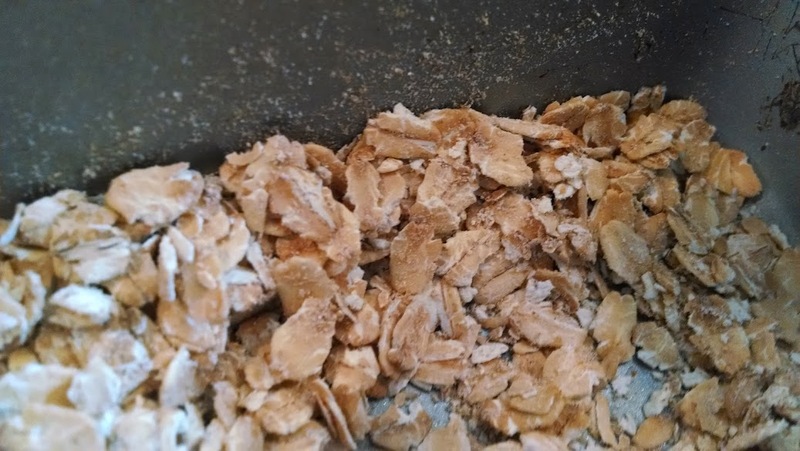 The toasted oat aroma was not as prominent as I had hoped for a few weeks ago and has subsided even more today. It is still a very sessionable beer since it is fairly balanced. Honestly, I don't know if the 3/4 lbs each of chocolate and pale chocolate malts contributed a strong enough roast character for this beer. Next time I will probably increase the oats and include some roasted barley.